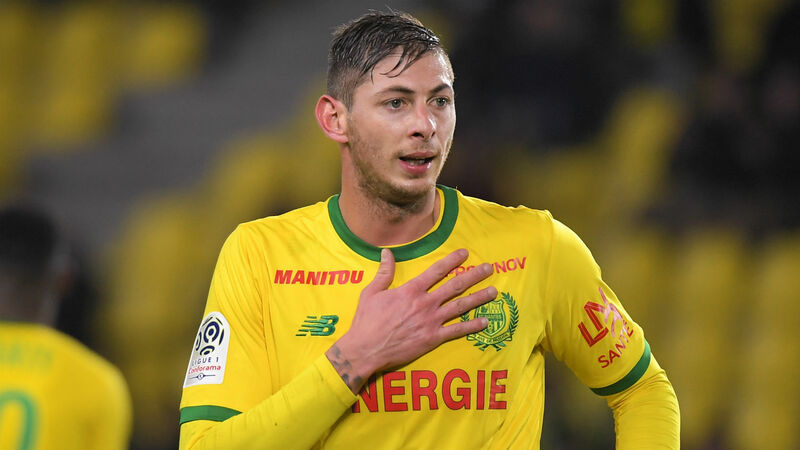 Dorset Police have confirmed the body recovered from a plane wreckage in the English Channel is that of Cardiff City striker Emiliano Sala. The UK's Air Accidents Investigation Branch (AAIB) confirmed Wednesday that a victim had been passed to the Dorset Coroner, having been recovered with the help of specialist contractors. The Piper Malibu aircraft disappeared with Sala and pilot David Ibbotson on board Jan. 21, with the 28-year-old en route to Cardiff having completed a club-record transfer from Ligue 1 side Nantes. A police statement issued late Thursday read: "The body brought to Portland Port today, Thursday 7 February 2019, has been formally identified by HM Coroner for Dorset as that of professional footballer Emiliano Sala. "The families of Mr. Sala and the pilot David Ibbotson have been updated with this news and will continue to be supported by specially-trained family liaison officers. Our thoughts remain with them at this difficult time. An initial search and rescue effort was called off by Guernsey Police after three days on Jan. 24. Guernsey harbormaster Captain David Barker called their chances of survival "extremely remote," but a number of high-profile football figures and members of the public answered the family's calls to fund a private search operation. The soccer world came together in grief and to pay its respects as the severity of the Sala story began to unfold, with floral tributes laid outside Cardiff City Stadium and vigils held in Nantes, where 42 goals in three-and-a-half seasons made him a fan favorite. Following reports of a dispute between the two clubs this week, Cardiff chairman Mehmet Dalman confirmed the Premier League outfit was yet to pay the first installment of Sala's transfer fee. "We must show respect to the family. There is a process for recovering the plane," he said, prior to Sala's body being identified. "(We will pay) when we think it's the right time to do it. I don't think Cardiff said we were not going to pay."